Comfortable and conveniently located apartment is in village of ballinderreen over jordans pub with own entrance and pretty balcony complete with outloor furniture. There is also a charming beer garden surrounded by trees; guests can relax in Jordans pub after a long day touring, the beautiful Burren (15mins) or Connemara with its scenic lakes and mountains and national park. (45mins). The magnificent Cliffs of Moher the stunning ailwee caves and doolin where you can take the ferry to the Aran islands are less than an hour away. 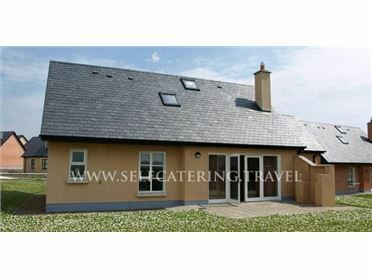 There are numerous golf courses on your doorstep gort (9 miles),, renville (10,miles), athenry (10 miles) and many more. the vibrant city of Galway is just 12 miles with its many festivals and great shops restaurants and cinemas etc. Kinvara a beautiful seaside town famous also for its festivals and restaurants and Dunguaire castle is a mere 4 miles away. Your accommodation is within walking distance of the sea and piers where the local fishermen bring in their oysters. from your balcony you can see the local hurling pitch with its walking track and sporting facilities. The shop and petrol station are 500 yards away with Shannon airport 50 mins, Galway airport 20 mins, Knock international airport 1 hour and Dublin ferry port 2 hrs and 50 mins. Jordans apartment has an open plan sitting room with a fine fully equipped kitchen with dining table and a large bedroom with ensuite bathroom .The bedroom has a king bed and a double bed with built in wardrobes and storage. Jordans apartment is suitable for a family and sleeps four. It will also suit couple who like a big spacious bedroom..